The unannounced and surprising arrival of pro-Russian Chechen military units as “peacekeepers” in Georgia’s separatist provinces of Abkhazia and South Ossetia has sparked widespread speculation as to the reason behind their deployment. Their appearance coincided with violent protests in the Georgian capital of Tblisi against the government of President Mikhail Saakashvili. Complaints are common that Saakashvili is reversing Georgia’s democratic gains of the last few years. Chechens have played major roles in fighting both for and against Georgia since the breakup of the Soviet Union, so their renewed presence on Georgian territory is being watched closely. Though the breakaway regions have proclaimed their independence from Georgia and their intention to join the Russian Federation, neither separatist government has gained international recognition—even from Moscow. The legally recognized Georgian regional government of Abkhazia is located in Georgian-controlled Upper Abkhazia, while the separatists, who declared independence in 1992, run their own government in Sukhumi. Russian citizenship was granted to 80% of the Abkhazian population in 2006. South Ossetia likewise has a separatist government in Tskhinvali and a Tblisi-approved “Provisional Administration” operating from Kurta, Georgia. Since 1989, the separatists in Tskhinvali have sought to unite South Ossetia with the Russian Federation. Joint Russian-Georgian peacekeeping forces were set up in Abkhazia and South Ossetia after violent internal conflicts erupted after the collapse of the Soviet Union. It may not only be the Georgians who are unhappy to see Chechen fighters back in Abkhazia. Many Abkhaz recall that the last time Chechens were there (under the command of Chechen warlord Ruslan “Hamzat” Gelayev in 2001) they were acting as Georgia’s hired guns in a secret operation against the Abkhaz separatists. Gelayev had already fought on the separatist side in Abkhazia in the civil war of 1992-93 as part of Musa Shanibov’s Confederation of the Mountain Peoples of the Caucasus (CMPC). In 2003, thousands of volunteers from the North Caucasus played a large part in driving the poorly trained Georgian army from Abkhazia while inflicting heavy casualties. One of Gelayev’s CMPC comrades was the late Shamil Basaev, who later suggested the volunteers may have been misused—“It was in Russia’s interest to have the Abkhaz-Georgian conflict grow into war so that both sides would be brought to their knees” (FBIS, 16 February 1994). Gelayev started rebuilding his army in 2001 at Georgia’s Pankisi Gorge after his command was destroyed at the battle of Komsomolskoye the year before. In exchange for food and weapons from Georgian authorities, Gelayev and 300 of his men were taken in Georgian military trucks from their base in the Pankisi Gorge to the Abkhazian frontier. Incredibly, the entire covert operation was documented by a Japanese journalist who travelled with the Chechens and managed to escape Georgia with his life. Moreover, one of Gelayev’s men was a former Japanese Seld-Defense Force officer who had converted to Islam and joined the Chechen jihad. Russian intelligence appears to have heard of the plot in advance. Heavy fighting began on October 3, 2001, when Gelayev’s Chechens advanced into Abkhazia through the Kodori Gorge, where they were joined by Georgian partisans and a number of Ukrainians and Azeris. After a series of battles, Gelayev’s men were forced into a fighting retreat. Gelayev himself and a handful of others (including the Japanese journalist) were evacuated by helicopter (24 Saati, February 28, 2003). A captured member of Gelayev’s band, Murtaz Maniya, claimed Gelayev’s plan called for driving right through Abkhazia to Sochi in Russia’s Krasnodar Krai, where the Chechens would seize the airport and demand independence for their homeland (Georgian Times, October 9, 2002). In February 2002, the Abkhazian government claimed that Chechens from Gelayev’s command were still in the Kodori Gorge in Georgian uniform. Georgian authorities dismissed the charge as a “fantasy” (Prime News, February 1). 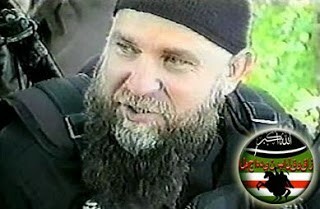 By December 2002, Gelayev had led a force of 800 Chechen, Turkish and Arab fighters into Chechnya. Gelayev was eventually killed by a Russian border patrol while trying to cross the border into Georgia in 2004. Last year Alu Alkhanov, then president of the pro-Russian government of Chechnya, revived memories of the 1992-93 conflict when he suggested that “volunteers” from Chechnya and other parts of the North Caucasus would join any renewed fighting on the side of pro-Russian separatists in Abkhazia and South Ossetia (Interfax-AVN, October 19, 2006). There are about 1,500 Russian peacekeepers in Abkhazia operating under a 1994 Commonwealth of Independent States mandate. The mission receives support from 100 unarmed UN monitors (United Nations Observer Mission to Georgia–UNOMIG). The Chechen peacekeepers in both Abkhazia and South Ossetia are drawn from the Zapad (West) and Vostok (East) battalions of the Russian 42nd Motorized Rifle Division. Both battalions fall under the direct command of the GRU (Russian military intelligence). Men from the same units were deployed on a peacekeeping mission in Lebanon last year that passed without incident. There are reports that Said-Magomed Kakiev’s Zapad battalion (the more professional of the two) has already been used on covert missions in the mountainous border regions of Georgia (Moskovsky Komsomolets, April 6, 2006). The Chechen presence in Abkhazia became well known after an October 30 incident along the Abkhazian border. An APC carrying Russian troops arrived at the Ganmukhuri youth camp in Georgian controlled territory, where they handcuffed three Georgian policemen to the APC before giving them severe beatings. The incident was caught on videotape by a Georgian journalist. Learning of a growing armed standoff between Georgian and Russian troops, President Saakashvili gathered a team of cameramen and flew to Ganmukhuri where he castigated the Russian peacekeepers personally. A number of Chechen troops in Russian uniform were caught on video that was later widely broadcast in Georgia. The Russian press reported that the Chechens “did a lot” to prevent the confrontation from escalating (Gazeta, November 7). After his first-hand encounter with the Chechens, President Saakashvili issued a press release: “I think it is incorrect and strange that a large number of ethnic Chechens have been brought to Abkhazia as peacekeepers. I met these people today. We do not have [a dispute] with the Chechens. However, to say the truth, all this has a smell of a provocation… It was absolutely beyond my understanding today that a significant part of the [peacekeeping] contingent were ethnic Chechens… However, everyone should remember that this is not the Georgia of 1992. This is not some Bantustan where one can walk about as he likes. I think the results of [the Chechens] being dispatched to Georgia for the first time should have been a good lesson for those people in [Russia’s] military leadership who dispatched them…” (President of Georgia Press Release, October 30, 2007). In the aftermath, Georgia declared the Russian commander of the peacekeeping mission, Major General Sergei Chaban, persona non grata on Georgian soil. Georgia also withdrew its agreement to the CIS peacekeeping mandate for Abkhazia. A month later Chaban dismissed Colonel Alexander Pavlushko, Chief of Staff of CIS forces in Abkhazia. The Colonel was accused of negligence and now faces criminal proceedings (with several other officers) in connection with the Ganmukhuri incident. The Chechen presence became news again in mid-November, when Georgia’s Minister of Conflict Resolution, David Bakradze, accused Russia of sending artillery, armor, Russian paratroopers and hundreds of Chechen troops to the Black Sea coast town of Ochamchira (Prime News, November 12). The equipment allegedly included five T-72 battle tanks, five GRAD rocket launchers and seven howitzers (Civil Georgia, November 12) .Tanks are not allowed under the peacekeepers’ mandate, while rockets and howitzers have no peacekeeping applications. The embattled Georgian president interpreted the alleged Russian troop movements as the prelude to a coup attempt within Georgia and declared a state of emergency (Kommersant, November 15).The Russian Foreign Ministry called Bakradze’s allegations “a provocation” (Kommersant, November 13). General Valeri Yevnevich, deputy commander of Russian Land Forces, used similar language: “Such statements coming from Georgian government officials can’t be described otherwise than a provocation against Russian peacekeepers in the zone of Georgian-Abkhazian conflict and, in the final run, against Russia” (ITAR/TASS, November 15). By November 21, the Georgian government declared that the flow of Russian arms and troops to Abkhazia had ceased after a successful appeal by Georgia to the international community (Prime News, November 21). In an interview with RFE/RL, a Chechen peacekeeper named Movsar Usmanov described the goals of his detachment in Abkhazia: “Considering the fact that we have seen the tragedy of war and know what it is like, we hope that it will be possible to solve this conflict and that these people will live peacefully. Sometimes we use force, but most of the time we operate through words” (RFE/RL, November 15). A company of 150 men from the Vostok Battalion arrived in Tskinvali, capital of separatist South Ossetia, in September (Gazeta, November 7). 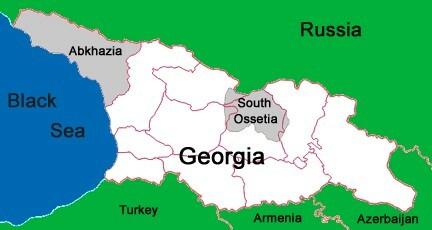 South Ossetia had its own conflict with Georgia in 1991-92. Russian peacekeepers arrived when hostilities ceased in 1992, but Georgia has frequently charged the Russian force with bias and calls for their withdrawal. Part of the region is still controlled by Georgian authorities, who are experimenting with a new regional government composed of former separatists that the government hopes may lead to the creation of an autonomous administration under Georgian sovereignty. The South Ossetian peacekeeping mission is known as the Joint Control Commission (JCC), with the Organization for Security and Co-operation in Europe (OSCE) providing a rather ineffectual monitoring group. The JCC consists of 500-man battalions from Georgia, Russia, South Ossetia and North Ossetia. In practice, this means Russian dominance of the mission, especially since Georgia stopped deploying a full battalion in 2006. Russian troops routinely violate their mandate by providing arms and training to troops of the separatist government (EDM, October 26, 2005). Chechens from both the Vostok and Zapad battalions have been assigned to the North Ossetian peacekeeping battalion, which, despite its name, actually contains troops from across Russia (Gazeta, November 7). Unlike the Lebanon deployment, which provided Moscow with a minor propaganda success through an international display of Chechen loyalty to the Putin regime, the Chechen presence in the Abkhazian peacekeeping force seemed designed—at least at first—to draw as little attention as possible. Nonetheless, considering the recent history of Chechen involvement in Abkhazia, the choice of Chechen troops as peacekeepers suggests Moscow intended to send a message to Tblisi as both sides inch toward war. In Abkhazia, much depends on the decision that has yet to be reached regarding Kosovo’s independence from Serbia. Russia might use what it views as Western support for Kosovo’s independence to declare that Abkhazia has the same right to secede from Georgia. With some Georgian MPs talking of an “automatic declaration of war” in the event of Russian recognition of an independent Abkhazia, Russia’s choice of Chechen “peacekeepers” seems designed to provoke Georgian memories of the disasters that befell Georgians during the 1992-93 Abkhaz War. Facing stiff domestic opposition at home, President Saakashvili has taken up the popular cause of restoring displaced Georgians to Abkhazia: “Sukhumi is my home…and I will not rest until I return to this home with over 400,000 of its residents” (Messenger [Georgia], November 14). According to Russian Deputy Foreign Minister Alexander Yakovenko, the Russian and Chechen peacekeepers in Abkhazia and South Ossetia are now the only obstacle “hindering Georgia’s military machine” (Civil Georgia, November 29). This article first appeared in the December 6, 2007 issue of the Jamestown Foundation’s North Caucasus Analysis.